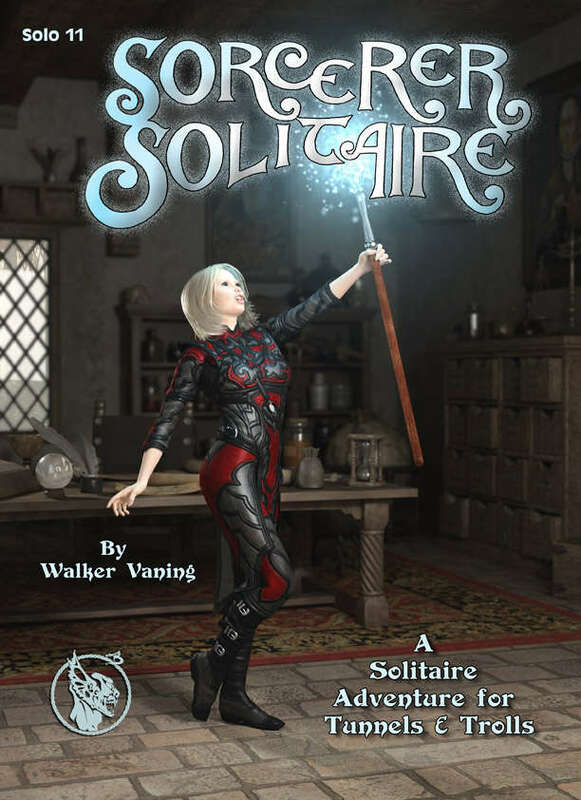 Sorcerer Solitaire is #10 in a series of Solitaire Adventures designed for play with the Tunnels & Trolls system of dungeon delving. Each solitaire adventure is unique; in Sorcer Solitaire your young but ambitious magus has an eye for exploration, adventure, and (naturally!) treasure. Monsters and deadly traps bar the way, and not all who enter the mansion will exit alive. For 1st - 3rd level Wizards. This is a Solitaire adventure game for use with the Tunnels & Trolls game system. To play, you will need the Tunnels & Trolls Rulebook. This title was added to our catalog on February 23, 2008.